This presentation will highlight the features of Openbravo Commerce Suite and demonstrate how our mobile, cloud-ready technologies can be leveraged to offer a highly differentiated, omnichannel shopping experience. 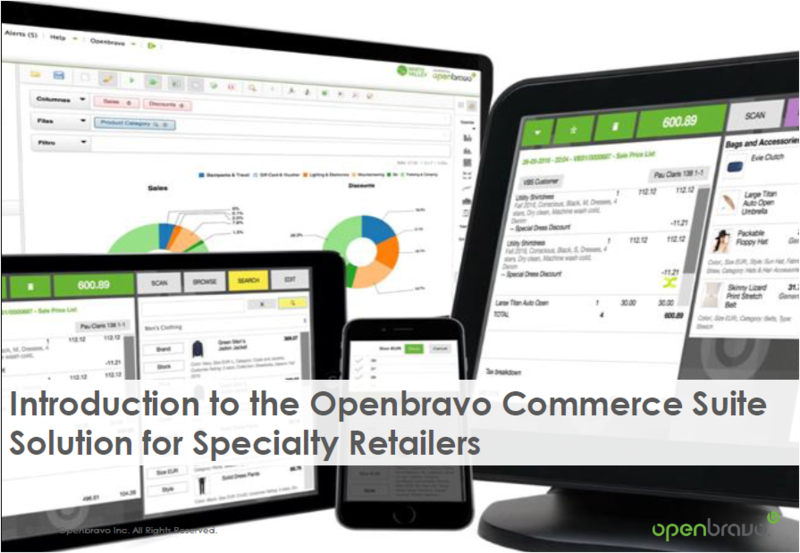 From Store solution to complete ERP solution, Openbravo Commerce Suite offers excellent value for money and adoption flexibility – all built on a single, mobile-enabled and cloud-ready platform. It features a powerful web- and mobile-ready POS with a broad set of assisted sale and inventory visibility capabilities as well as back office functionalities such as inventory management, warehousing, finance and analytics.. This presentation highlights the highly intuitive, web-based interface and, together with a live demonstration, shows you how easy it is to learn and perform routine store operations and back office tasks, as well as a few ways it can help create a great in-store experience, build loyalty, and boost sales. If you wish to watch the full demonstration which accompanies this presentation, please visit http://www.openbravo.com/resources/webinars/?commid=246507.